When all is said and done, I am at heart a warrior and always appreciate a cool weapon. +Aii has created a lovely scythe for this month's Fantasy Collective, which looks like it could take on a whole army of demons or orcs all by itself. It has a jewel in the head and runes carved along the blade. It comes with 9 different holds which it maintains even if you're walking or dodging exploding rocks. I did discover it couldn't protect me from flying lava balls, but at least I looked good when I got bowled over a split second after I snapped this picture. Every man needs a go-to outfit - something he knows will look sharp without being over dressed or under dressed. This offering from Prism now in the Designer Showcase fits the bill. Classy touches like the buckle on the back of the vest and cuff links on the shirt say that this man knows style. Pants and shirt can be worn without the vest. The textures are subtle and nicely done. The shirt has a color change hud. The mesh shoes from Baxe are casual, yet stylish. 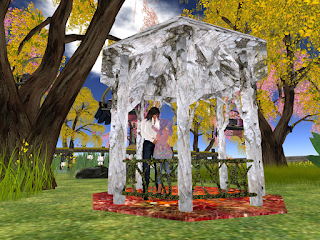 Fantasy Gay Pride features a sim-wide Hunt, as well as other visitor gifts. 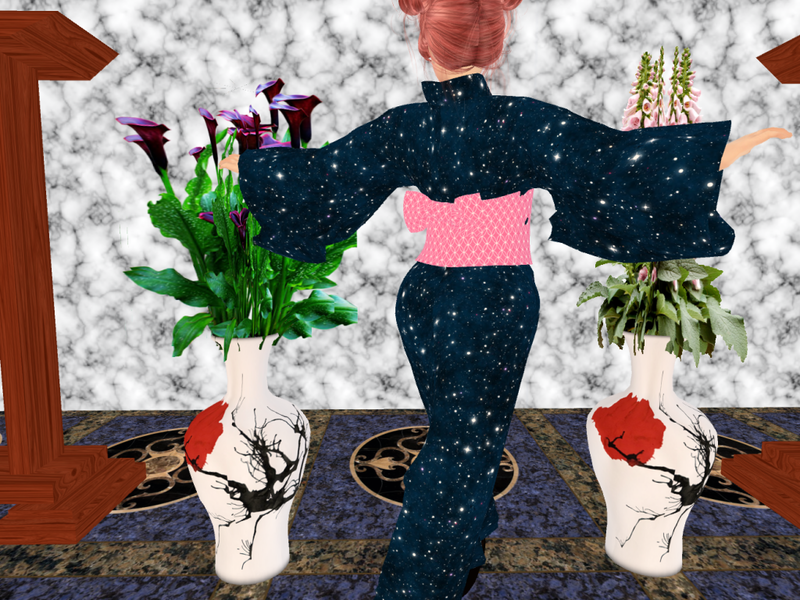 Free androgynous avatar wears the FGP 2016 logo tee and poses with vendors of some of the free clothing available for Sunday's Cross Dressing Party. Lifeship Susscientiam aka "the Pyramid"
Free Gowns, makeup, shoes, etc., etc., etc. in the Dressing Room. Outfits are provided for Sunday's Cross Dressing Fashion Show, but are certainly appropriate for any occasion. We hope you will join us for the fun! Be on the lookout for pocket watches in unexpected places. Our theme is Time Travel and what better to hunt for than a classic watch? You should receive a list of hunt hints from the greeter when you land of the sim, but in case you miss that, the list is available from the poster to the right of the door when you enter the Crystalline Castle. The Hunt ends @ Midnight Sunday, Sept 25. 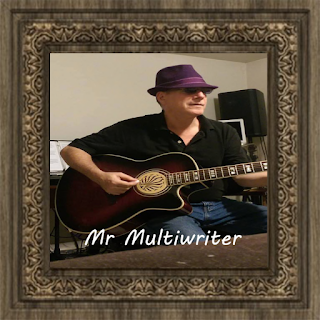 Thursday @ 6 slt will feature MrMulti Writer, an amazingly talented live performer, who does wonderful covers and original music. 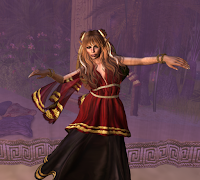 @ 8 there will be a Mabon celebration in the Egyptian Water Garden. 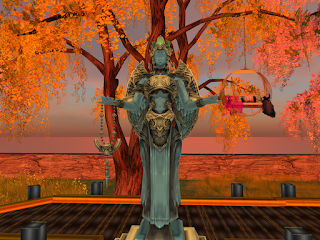 Friday there will be a special show developed for Fantasy Gay Pride by the Oval Theater group @ 1 slt, followed by a Toga Party to celebrate all things GLBTI at the Skyhenge build in "The Future". Activities and the sim-wide HUNT continue through the weekend. 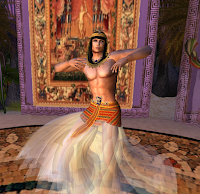 Mer Dance~ 2 pm slt. You are invited to join us for some rest and relaxation under the sea in Poseidon's Palace. DJ Lysana FireBride McMillian will be spinning the tunes for your underwater enjoyment. a unique experience provided by Kiran Sporg and Jenna Dirval. 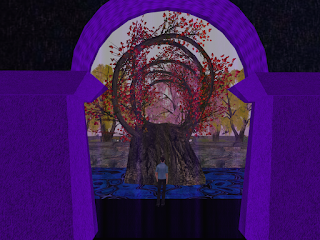 The actors, singers and dancers of the Oval Theater are pleased to present a live Second Life stage show called "The Realms of Fantasy", which they have developed especially for Fantasy Gay Pride. You will be amazed at the elaborate costumes and musical numbers of this creative group. 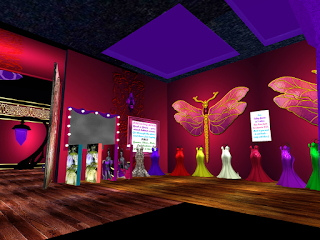 The show will be held in a special theater above the Fantasy Gay Pride sim, so look for the Oval Theater teleporter if you are on the sim, or use the link here to go directly to the theater. Seating is limited, so be sure and come early! I dressed for my theater experience in wonderful items from the September Designer Showcase. Fantasy Gay Pride's goal is to increase understanding and acceptance of ALL forms of gender expression and healthy sexuality. We do it by creating wonderful fantasy environments and featuring dances, live performances, educational displays, a sim-wide hunt and just generally having a GREAT time for 10 days and inviting everybody to come and celebrate with us! 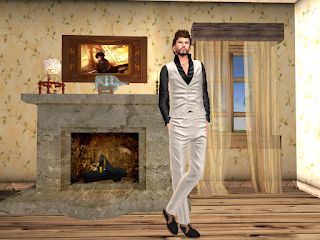 Wolfgang Glinka (Colin Bell)is a poet and novelist in both SL and RL. 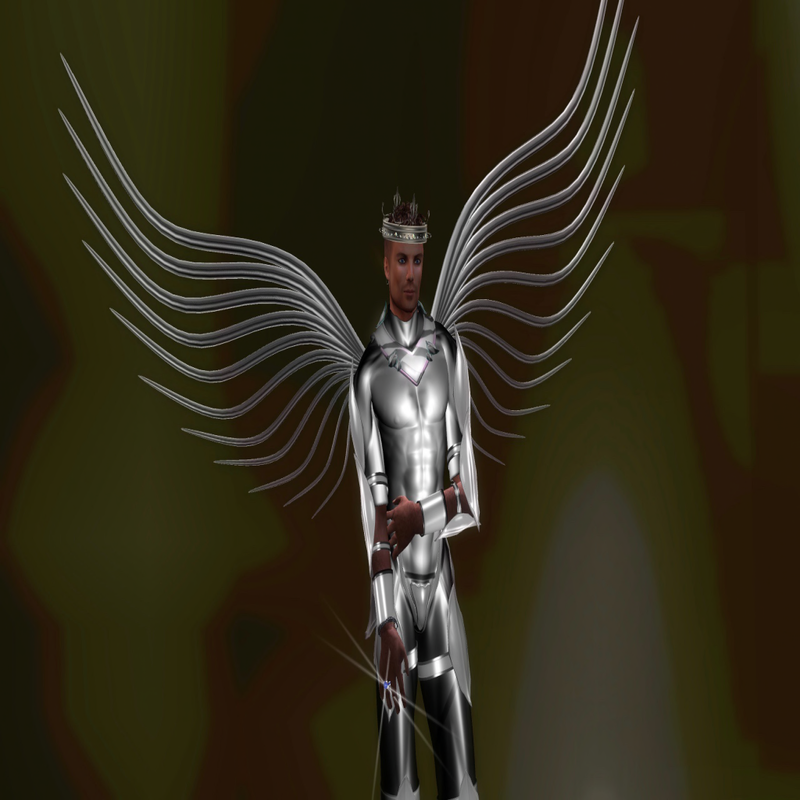 He will kick off Fantasy Gay Pride with original works he has composed for this and former FGP events on. Maxx Sabretooth has the kind of voice that makes you stop and listen. His bluesy tone and R&B style will grab your attention. His love of music is evident in every note he sings. 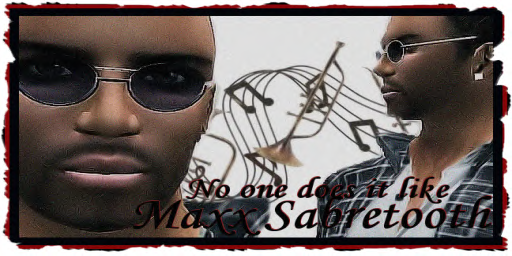 Maxx has been entertaining in SL since 2009 and sings a variety of styles. He especially enjoys R&B, Soul, Pop, Light Rock, Jazz, Motown and even some Contemporary Country! Keeba Tammas is one of the finest female vocalists in Second Life. 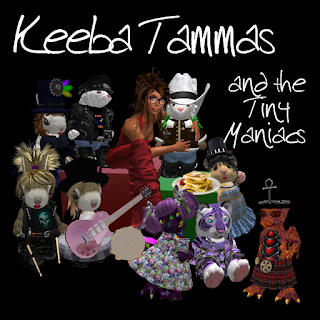 A professional vocalist for many years, Keeba was in a variety of bands in the eighties. She also did voice overs for cartoons and commercials. A seasoned performer in SL as well, Keeba is one of the most sought after female vocalists available. From the first song to the last she delivers a power packed punch ... performing her songs with tremendous energy and shear raw talent. Her backup band, The Tiny Maniacs add to the fun for a zany, high energy performance. 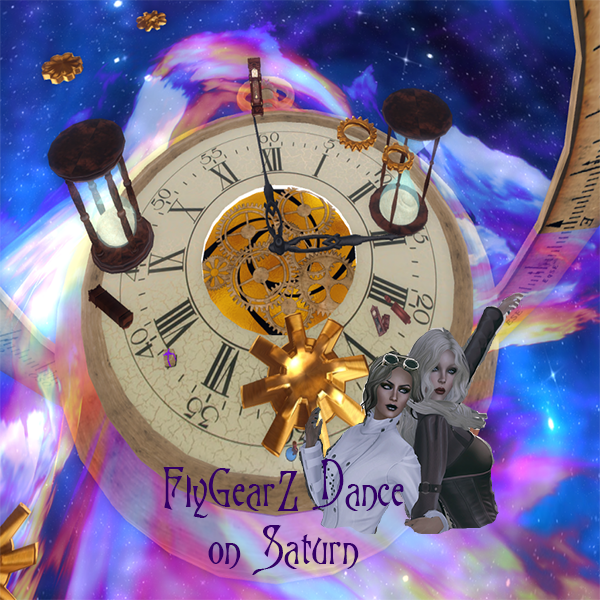 You are cordially invited to join the nefarious pirates of Fantasy Gay Pride for a Pirate Dance featuring the sounds of DJ Starhawk Starostin. 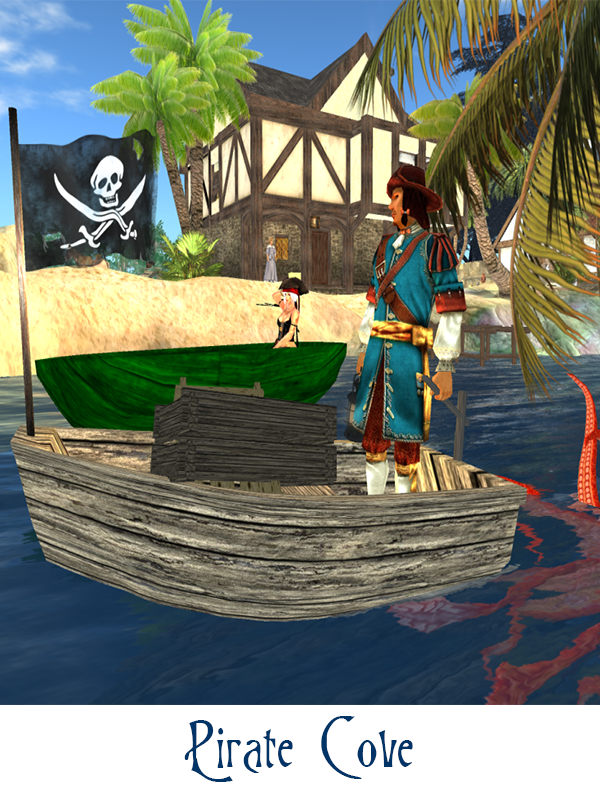 Wear your seafaring best and help us dance the night away in the Pirate Cove and aboard the docks and ship. Watch out for the chickens... and the pigs! Lots of poses and tats as well as other nice things. Free gifts for group members. I wore a casual outfit from the September Designer Showcase when I visited and ended up spending more time dancing on the beach than play the gachas. Summer is on the wane, though the weather is still warm. In the US, it's harvest time and time for the county fair. This country gal decided to renew her relationship with an old friend. I'm wearing a nice leather vest, blue denim skirt and really awesome boots from Finale Couture featured at the September round of Designer Showcase. Accessories are included. This set has beautiful textures! 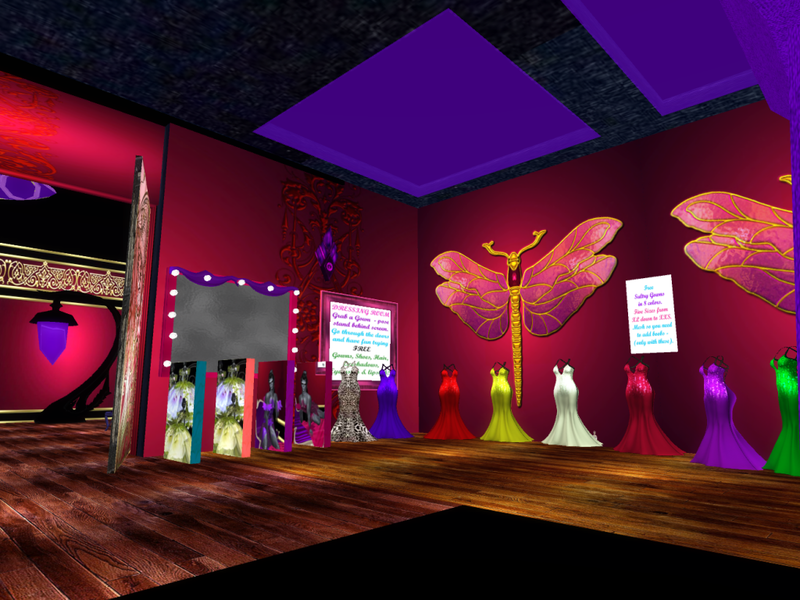 Those of you who have been following me for a while know that Fantasy Gay Pride is one of my favorite things in SL. I've participated in it since it's first year 7 years ago and have been FGP Creator for the last three years.